Buying a condominium is trickier than buying a house because you'll be sharing living space and financial responsibilities with other owners. Not only do you have to find a good location at an affordable price, you also have to consider lots of extra costs, from association fees and special assessments to how well the building is maintained and how strictly it enforces rules on everything from noise to pets. These 7 smart moves can help you ask all of the right questions and be confident in the choice you make. Smart move 1. 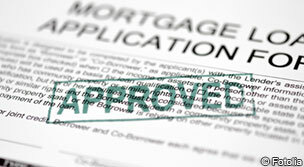 Look for a building or development approved by Fannie Mae. To get a mortgage with the lowest possible rate and fees, you'll want a loan that can be sold to Fannie Mae, one of the big government-owned companies that provide most of the money for home loans. And Fannie Mae will only buy loans for condos on its list of approved buildings or developments. Commercial space takes up no more than 25% of the square footage. There's no current litigation regarding safety, structural soundness, habitability or functional use. Those are all good things, which is why shopping for a Fannie Mae-approved condo is the first step toward buying with confidence. Smart move 2. Shop around for the best financing. You can expect to pay about 0.125 of a percentage point more to finance a condo than a single-family home. That makes it especially critical that you shop around for a loan. Failing to get the best possible deal on a mortgage can cost tens of thousands of dollars in fees and interest over the life of your mortgage. Our extensive database of current mortgage rates lets you quickly compare the lowest available rates and fees from dozens of lenders in your area. Smart move 3. Check for healthy financial reserves. In a condo development, individual unit owners are jointly responsible for common maintenance, operations and repairs. Owners pay monthly homeowners association (HOA) fees for these expenses. An association that doesn't collect enough might be deferring maintenance and failing to build reserves for future needs. The result can be a special assessment, an unexpected bill sometimes in the tens of thousands of dollars. Insufficient monthly dues can also mean a large future increase in HOA fees. Buyers should carefully review the complex's recent board minutes, replacement reserve study and financial statements for potential problems. The right monthly HOA fee pays for monthly operating costs and creates a reserve fund that can cover 70% to 100% of anticipated major maintenance costs, like a new roof. Be wary of complexes where less than 30% of the anticipated costs are funded. Pay attention to the building's overall condition, too. Aging systems, worn-out amenities and deferred maintenance could signal a future special assessment. Smart move 4. Look for a smooth-running organization. While you're reviewing the condo board's meeting minutes for signs of financial problems, look to see if other problems are being resolved quickly and effectively. 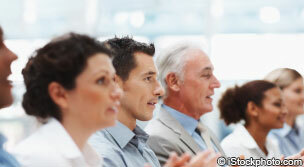 Taking care of maintenance issues is one of the board's essential responsibilities. Any repair should show up in the notes twice: first, when the board discusses it and decides what to do, and again when the bill is paid and the issue is resolved. Maintenance issues reappearing month after month are a sign of an ineffective or dysfunctional board. Frequent disputes with residents are another red flag. Talk to people who live in the building. Find out if their needs are being met and if issues are being resolved in a reasonable amount of time. Neighbors can also provide an idea of the complex’s character. Smart move 5. Understand the homeowners association's rules. Condo living means less control over your property and lifestyle. The homeowners association has a say. Exterior modifications and seasonal decorations. Common area use and conduct. Types of vehicles allowed in parking lots and garages and on-site repairs. Interior modifications and structural changes. The HOA's right to enter your unit. Enforcement and penalties for rule violations. Smart move 6. 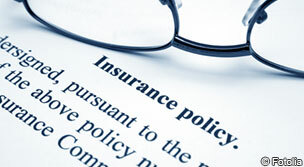 Know what personal insurance you'll need and how much it costs. In many cases, the building or development's master insurance policy only covers fire and storm damage to the primary structure and common areas. Unit owners need a homeowners policy that replaces appliances, flooring and cabinetry, as well as personal property such as furniture and clothing. That insurance should also reimburse you for special assessments from lawsuits or property damage that the HOA's insurance or reserves don't fully cover. Lenders may require the owners of beach or riverfront properties to buy flood insurance, a pricey type of coverage with particularly volatile premiums. Use the search tool at floodsmart.gov to determine the risk for any address. Smart move 7. Make sure the condo meets all of your expectations. Don't settle for anything less than your ideal condo. Make sure the level of maintenance meets your standards. 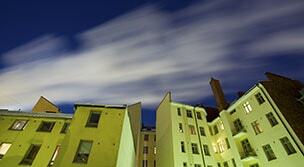 You might not agree with what the condo association considers well-maintained. If the golf course is a big reason you want to buy there, play a round or two to see if it matches your game and is as well cared for as you would expect. If you're expecting to spend a lot of time at the condo's pool or beach, ask whether you can spend a day or two lounging by the water. Is it a relaxing retreat for other residents or a beer-and-boom-box-party kind of place? Condos are close quarters, so issues like blaring music, screaming kids and barking dogs can become unbearable. Spend some time in the condo itself to see how much noise comes from surrounding units. Do the upstairs neighbors stomp around like elephants? Can you hear the baby next door crying? These are nasty surprises you want to avoid. Will I be happy in a condo?